The Department of Telecommunications (DoT) has introduce Mandatory Testing & Certification of Telecom Equipment which includes Mobile Phone & Data Cards vide Gazette Notification No. G.S.R. 1131 (E) dated 5th September, 2017. The tentative list of product/device list of telecom products for formulation of ERs (Essential Requirements) are smart meter, vehicle tracking device, asset tracking device, e-call services (112), smart watches with POS terminal, wearable healthcare device using SIM, smart camera, wearable safety device, single/multi-protocol gateway or IoT gateway, smart door locks, digital thermometer, digital blood pressure monitor, e-passport, smart waste bin, smart sound pollution monitor, soil health monitoring device, smart light management, smart home voice controller and smart household appliance. The products included in Mobile Phone & Data Cards category includes: 2G Mobile Phone, 3G Mobile Phone, CDMA Mobile Phone, 4G Mobile Phone, 3G Data Card, CDMA EVDO Data Card and 4G Data Card. The Mandatory Testing & Certification of Telecom Equipment comes into effect from Ist October, 2018. 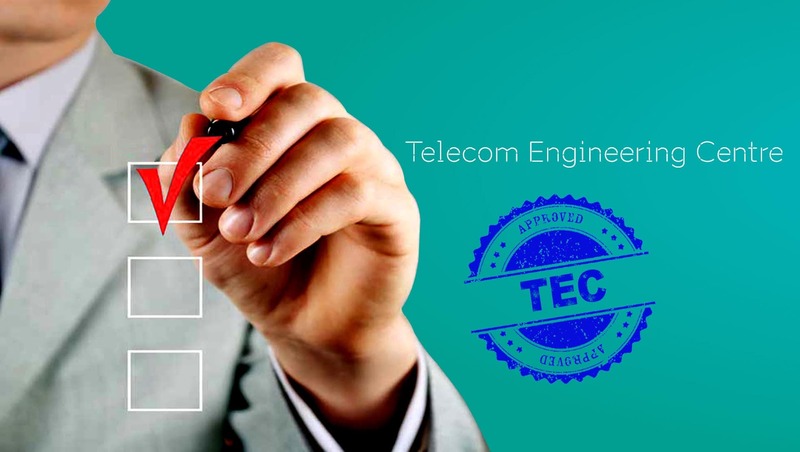 Presently, TEC (Telecom Engineering Centre) is seeking inputs in respect to development of Essential Requirements (ER) for Mandatory Testing & Certification of Mobile Phones since it has been mandated by DoT to implement Mandatory Testing & Certification of Telecom Equipment. The ER document for Mobile Phone category is presently under formulation. Essential Requirements (ER) for Mandatory Testing & Certification of Mobile Phones would be finalised by TEC soon.